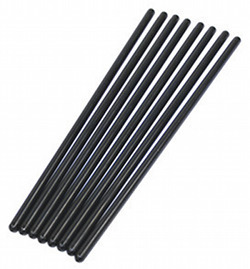 These VW hi-performance pushrods resist flexing at high RPM's under loads of high lift cams and heavy valve spring pressures. A must with any dual spring application. 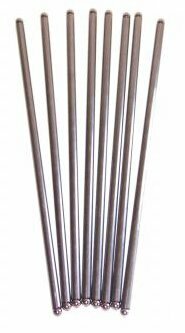 Made from the highest quality heat treated 5/16" steel tubing, ends are pre installed and pushrods are 11.078" overall length! 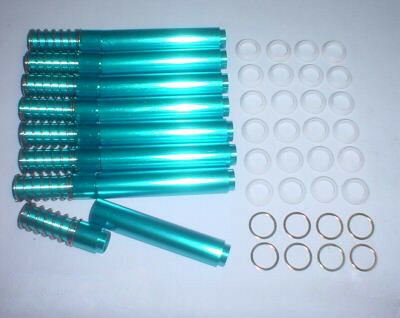 Set of 8 rods. 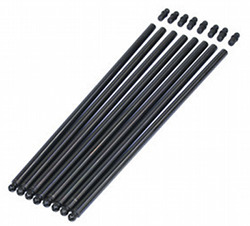 Chromoly push rods are lighter and stronger than regular VW steel push rods. The 3/8" tubing offers maximum strength to maintain no flex operation at higher RPMs under the stress of high lift cams and high-rev. valve springs. 11.600" long; set of 8 rods. 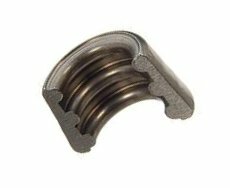 Heavy duty spring keeps a constant tension for a positive seal. 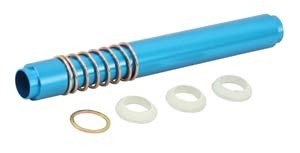 The spring loaded design also allows you to quickly change damaged or leaking push rod tubes without removing the engine! Made from heavy duty aluminum and fully blue anodized for good looks & protection from the elements. 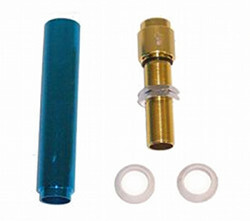 Fits all 1200-1600cc and includes seals; set of 8. Change a damaged or leaking push rod tube without removing the engine or heads. Great for emergency repairs or permanent installation. Made of heavy duty aluminum & comes with seals. 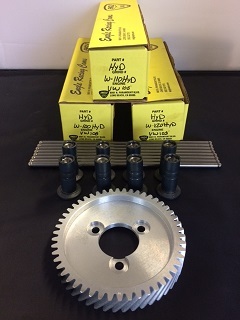 This is the ONLY Volkswagen Aircooled hydraulic kit on the market today which requires NO CASE MACHINING. Mofoco designed this kit over 25 years ago as pioneers in the market. Never adjust your lifters again! Fits all motors 1600cc and up. A total of 8 steel push rods measuring 11.080". Fits all VW Type 1 motors with performance cam. 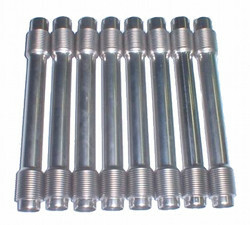 A total of 1 steel push rod. Fits all VW Type 1 motors with hydraulic lifters. A total of 1 steel push rod measuring 11.080". Prevent valve groove wear and failure. Compatible with stock VW valve and stainless steel VW valves,as well as with all stock retainers. Precision fit and heat treated!